Please join me for a special edition of Pilates & Pints and help me celebrate my first year of business. To celebrate, I'd like to give back by helping to support my favorite charity, Emerald City Pet Rescue. Lucky Envelope Brewing in Ballard will be hosting a pet supplies drive, and donating $1 from each beer to ECPR. I will donate $5 from every ticket sold as well! 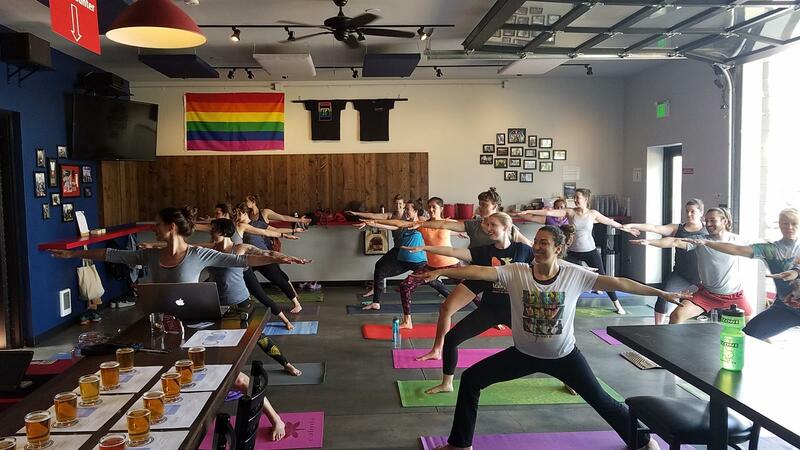 Join Happy Hour Fitness NW & Lucky Envelope Brewing for special Glutes & Core edition of Pilates & Pints. This class will combine the best of Pilates, Yoga & Barre inspired moves to lift your booty and sculpt your core. It's all levels, low impact, and you will finish feeling strong, maybe a little sweaty, and definitely ready for beer! Time to reward yourself for your hard work with a pint of amazing Seattle craft beer! 21+ Event, all ages and dogs welcome after class. Ticket includes class and beer or cider from a limited selection.